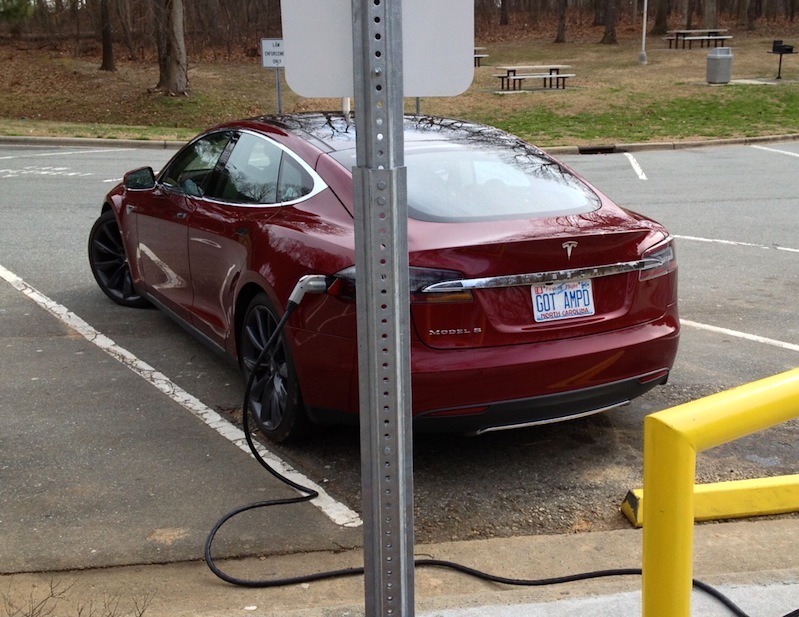 Less than 200 miles into the trip, we saw a Tesla Model S parked at a North Carolina rest stop. Chatting with the owner, I learned that the plug-in pit stops in North Carolina are currently free. Perhaps our story is not so green after all. If you have stumbled onto this page, and you are not one of my friends or relatives, there is still a simple way to tell the back story. On the last business day of 2011 we bought a Prius. We had been talking about the merits of doing so for quite some time, and I am sure we annoyed quite a few people over the four or so years that we waited for the right moment. On 1 Feb 2013 we left on an old fashioned "road trip" to see our various relatives, and particularly to celebrate my mother-in-law's 90th birthday in Phoenix. The alternative, some combination of car rentals after flying in the winter to Atlanta and/or Dallas and/or Phoenix, was dismissed as too logistically complex. Besides, we had the time to do this. The most common question we are asked about the Prius is simply "Is it really as fuel efficient as Toyota claims?" We knew a part of the answer already having measured a couple of round trips to Atlanta at 51+ mpg, and having an average fuel consumption for 2012 of 49.5 mpg. But re-enacting the great American family vacation is a better test. Before we left, I had guessed that it would be "about five thousand miles," and much to my surprise I was off by only 0.2%. A substantial number of my friends live within the metric system, so I have translated the miles and mpg to the more universal km and l/100km. The following table covers the 83.5 hours in the car while we burnt up $375 in gasoline. The west bound and east bound trips were only slightly different in route. The trip "out" includes the local driving around Tyler and the Phoenix valley, whereas the return trip that followed the same major highways did not. 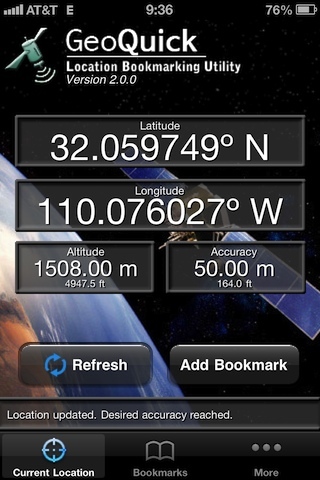 The rotation of the Earth provides a prevailing tailwind when you travel eastward. However, we truthfully did not experience much besides headwinds and a crosswind. We learned how to drive the car more efficiently during the outbound trip, and we benefitted from the experience on the way home. The weather was better at the end of the trip than at the beginning. In fact, we drove through some light snow and heavy rain on the first day of the trip, and we had high winds on several days. The average air temperature was higher on the return: lighter air, better combustion. Here is a daily summary of the city-to-city drives of the trip. Richmond Bremen, GA 577 . Bremen Shreveport, LA 554 . Shreveport Tyler, TX 100 . Tyler Las Cruces, NM 778 . Las Cruces Phoenix 388 . Phoenix Pecos, TX 640 . Tyler Meridian, MS 405 . Meridian Johns Creek, GA 316 . Johns Creek Richmond 515 . Yes, Tyler to Las Cruces was a little insane, but the weather was good and the speed limits were high. We had an average speed that day of 68mph. Texas has a posted speed limit of 80mph/129kph, and the Prius becomes remarkably more thirsty for fuel above 65mph/105kph. Given the traffic between Richmond and Atlanta, it is not something we noticed until this trip. The Prius behaved well on the mountain passes, both up and down. Elsewhere on the Internet I have read that it does not, but our experience suggests that the complaints are mainly mythology. Now, the passes were not terribly high (my iPhone says we reached a maximum altitude of 4947 feet/1508 m), and that may be a factor in our perception of better performance than one might have in Colorado.